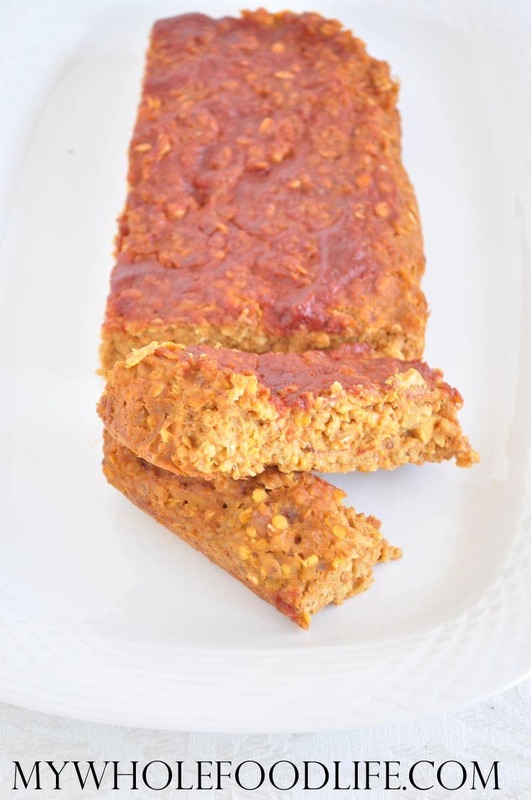 Easy Lentil Loaf. Ever since I made my Lentil Sloppy Joes, I have been wanting to make more recipes with lentils. So I made this lentil loaf recipe. I searched Pinterest and came up with this recipe. I used that recipe as a base, but had to change out many of the ingredients to use what I had on hand. It came out so good, that I made it a second time and made notes of all my changes. The original recipe is very tasty, but it is a little too involved for me. I omitted several ingredients and also some cooking steps. I hope you enjoy my version of this Easy Lentil Loaf. If you also enjoy lentils, you may like my Red Lentil Soup. My husband loved this so much, that he wanted me to make it a 3rd time in a row! I ate my lentil loaf with a side of roasted veggies. You can also serve it with a salad or just eat it as is. Anyway is delicious. It also freezes well. I think you could also sneak some extra veggies in here for your kids. Spinach or carrots might go well. Maybe even cauliflower. You won't miss the meat with this delicious lentil loaf! In a large saute pan , combine the lentils, vegetable broth, water and steel cut oats. Bring to a boil, turn down and simmer for about 15 minutes, or until most of the liquid is absorbed. Once the steel cut oats and lentils look cooked, add in the remaining ingredients and stir well. Transfer the mixture to an 8x8 glass baking dish . Cover and bake in the oven for about 25 minutes. Remove the cover, brush on the glaze and bake for another 7 minutes.